Are you in control of your business? How can organizations demonstrate the value of EA? Revealed: what IT leaders really think of the value of new EA. When it comes to EA, the value of adapting to change and implementing more efficient processes has never been more essential. It is no surprise that many people regard enterprise architecture (EA) as perplexing. It has an astonishingly long history, yet one that clearly remains in search of proven ROI at scale. It can be complex, convoluted, and overwhelming, even for those who work with EA day in, day out. "72% of organizations are starting, restarting or renewing their EA efforts"
EA boasts perhaps the longest history of failure to deliver ‘on vision’ of any technology trend I’ve ever encountered. And, as someone passionate about observing new technology at play, that’s quite a statement on my part. However, there’s no denying that EA is resilient. It is constantly adapting to change, and is a discipline in a state of almost constant evolution. Yet, with the pace of change increasingly relentlessly, EA — alongside many other established enterprise management doctrines — is struggling to keep up. When it comes to being able to manage, navigate, and inform decision-making, EA’s historically linear solutions are quite often not up to the task. 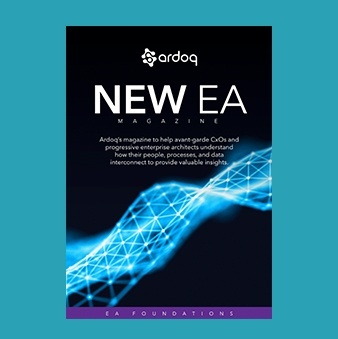 "When it comes to being able to manage, navigate, and inform decision-making, EA’s historically linear solutions are quite often not up to the task"
Looking at EA more closely, it is impossible to turn a blind eye to the solutions empowering today’s practitioners. It is prudent to acknowledge that all existing EA tools were built, and are indeed used, with the best of intentions. It is simple the case that the pace of disruptive change has simply outdone the speed of organic evolution from within. And this all means one thing: new EA is required. So what is new EA? New EA is about ecosystem architecture. It is about real-time augmented intelligence around the enterprise and the ecosystems in which it operates. It is about delivering contextually enriched, machine-to-machine, and crowdsourced data that results in decision support intelligence to business and IT executives.. There is a growing need to answer complex business questions that relate to an ecosystem of people, business processes, applications, data, security in real-time or near real-time. The new era of EA focuses on delivering contextually relevant and bespoke decision-making input for complex business questions. 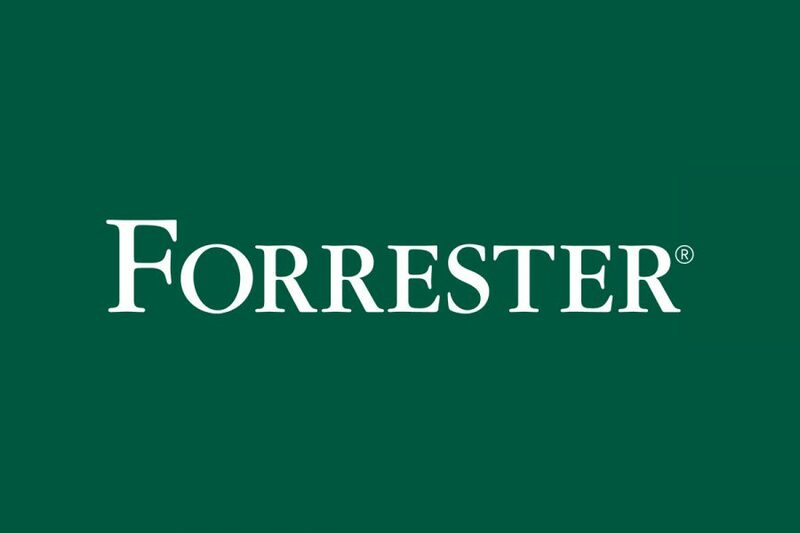 Making decisions in the digital business era is about speed, not perfection. It is about embracing a level of known uncertainty and deliberate imperfection, but compensating for it by moving at pace, and by making appropriate amends on the fly. 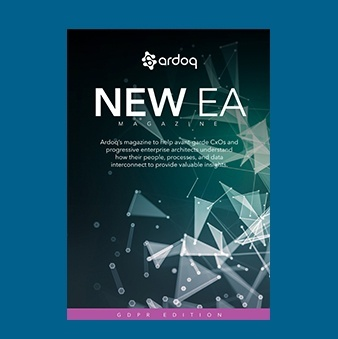 New EA ensures increased operational efficiency and strategic agility. It enables enterprise business executives, allowing them to make better decisions faster. Backed by accurate data, it is about real-time contextual intelligence, not framework-constrained rigid architecture. What should new EA leaders focus on? As is often the case, it helps to look from the consumer’s perspective. Consider the executive management team, or the equivalent body that is responsible for decision-making and prioritization. This customer is unlikely to understand the intricacies of architecture, frameworks, meta-models, and so forth. Instead, they will have an interest in contextually tailored — and instantly available — insights that can inform decision-making. 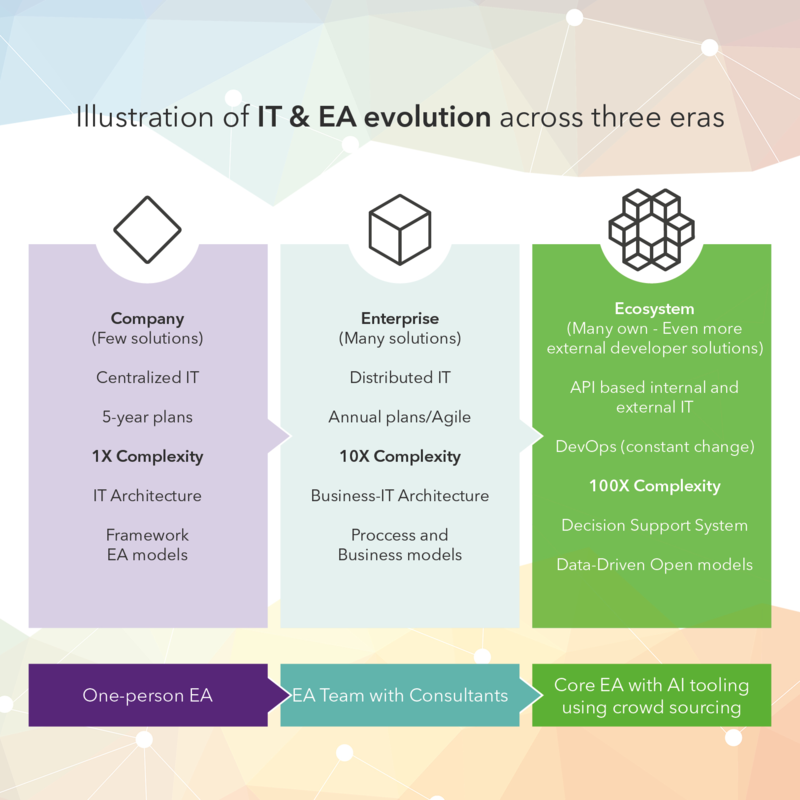 There have been plenty of articles assessing the shift of EA from IT architecture to business architecture (BA), with some going as far as to advocate that EA should focus on business models and business architectures rather than all things IT. Equally, there is a solid lobby arguing for EA to shift focus from current state (as-is) mapping to future state (to-be) mapping. And, while both offer good arguments, there are clear differences. The former finds itself advocating for EA and BA to push into the realm of corporate strategy, while the latter results in attractive scenarios on paper, but without an accurate, data-driven as-is description, analyzing future states using real data for overall viability will be vague at best. 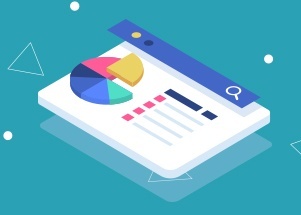 Our research shows that the single most important thing to management is meaningful insights, backed by real data, delivered in a way that is easy to understand, and helps them make better decisions. New EA that can answer complex questions with real data is ideally suited to deliver on these desires. Moving from IT architectures to business architectures represents a shift in the role and value of EA. 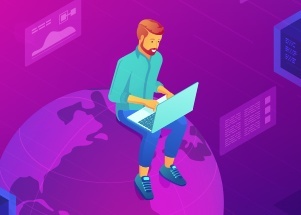 Moving to enterprise and ecosystem intelligence on-demand may be considered a radical decision, but is it one that you’re willing to take? Subscribe to our blog to get the latest news, views and opinions straight to your inbox.